This five-song split represents the most recent blasphemies conjured by two relatively young bands that are likely to share the duty of carrying the banner of primitive black metal for years to come. Demonomancy opens the split with their first newly-recorded tracks since their 2013 debut full-length album, “Throne of Demonic Proselytism,” also released by Nuclear War Now! Their title track on this split, “Archaic Remnants of the Numinous,” is a nearly nine-minute churning oration of revulsion that picks up right where “Throne…” left off. 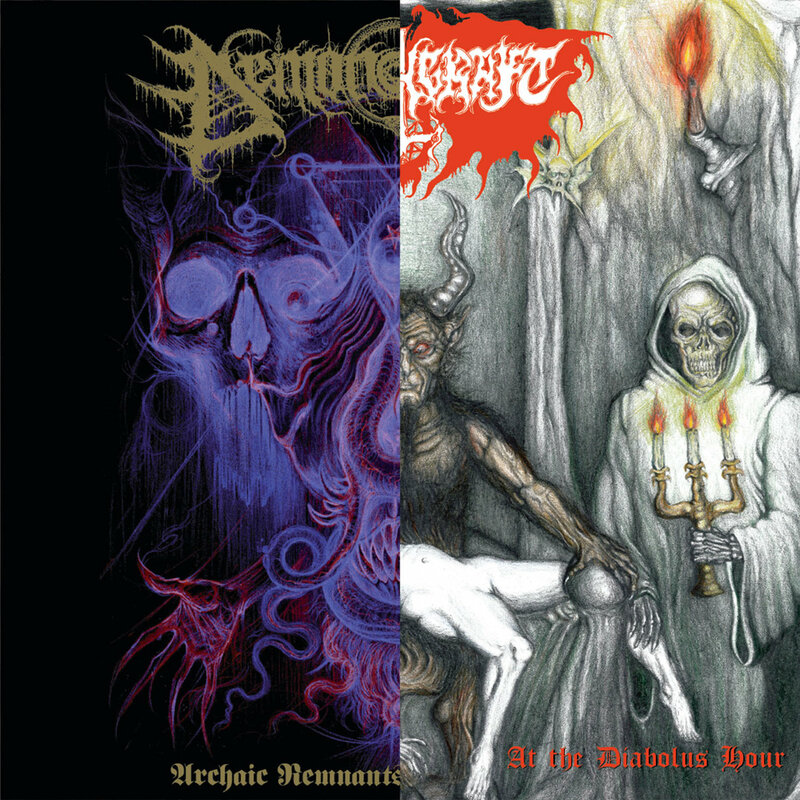 Following this original track, and closing Demonomancy’s contribution to the record, is a cover of the infamous Goatlord’s “Underground Church,” which is appropriately played at a somewhat higher tempo and in the same style that has become Demonomancy’s signature sound. The ensuing three tracks are the devilish creations of Witchcraft (formerly Black Feast), who with this recording continue their series of demos and split releases, a pattern that is best considered a slow but measured reveal of their manifest darkness. Not surprisingly, Witchcraft’s share of this release once again successfully raises the ancient specter of the early works of their fellow countrymen, Beherit. 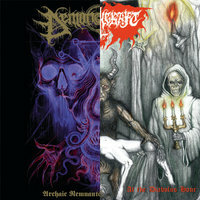 Their three arcane rites commence with the ominously foreboding “At the Diabolus Hour,” which ceremoniously opens the pit of hellfire into which the listener later falls during the following track, “Grave Immolation.” Witchcraft’s final song on the release, “Perverted Temple of Goatsodomy,” noticeably shifts the tempo down to a range that one could categorize as black doom, of the sort that would likely please the aforementioned Goatlord. In what many are sure to consider one of the best black metal splits of 2016, Demonomancy and Witchcraft prove their worth as the next generation of torchbearers for this dark art.